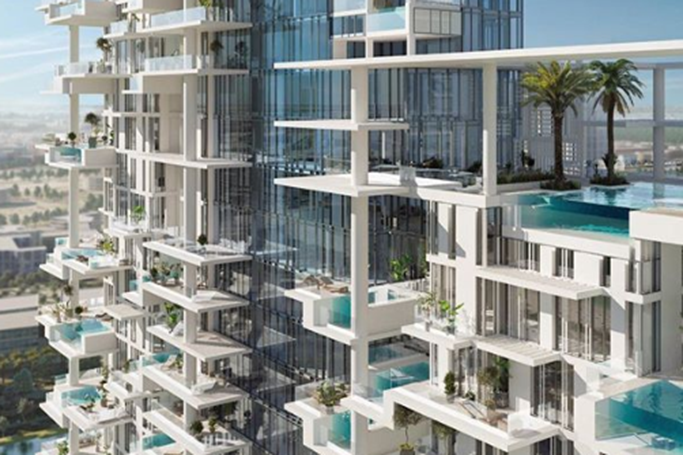 Italian fashion designer Roberto Cavalli is known for his Florentine flair and love of animal prints –as now Cavalli’s signature style will injected into hotel interior design, starting with a five star hotel to be built in Dubai by 2023. Dubai is known for its many glamourous and luxurious hotels, however the city’s latest five-star tourist attraction is a little more unique! 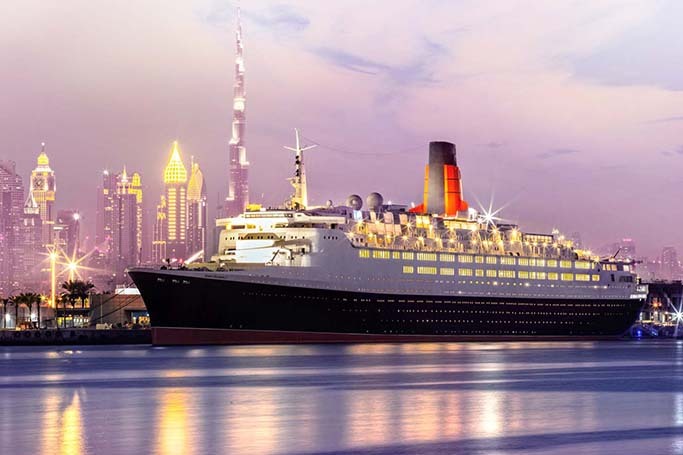 The newly renovated Queen Elizabeth 2 ship is now a floating hotel in Dubai which is permanently docked at Mina Rashid and opens on 18th April 2018, although the grand launch is not until October. Dubai hotels which opened in 2017 included the impressive FIVE Palm Jumeriah, the highly-anticipated Bulgari Hotel and the luxury new Renaissance Downtown hotel, as 2018 is set to be another big year for Dubai hotels. 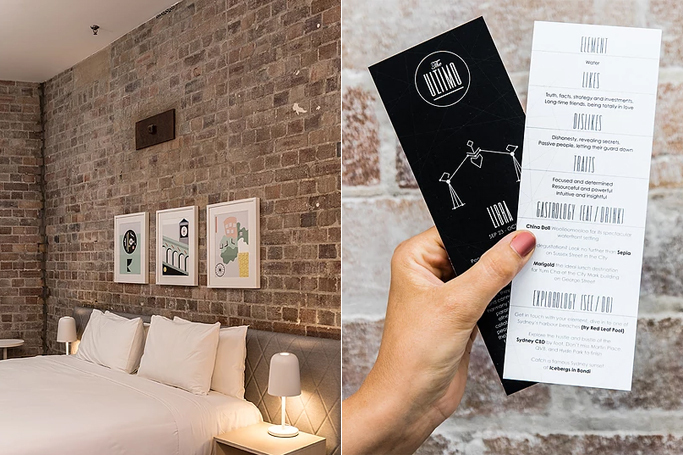 You can baulk at the idea of zodiac signs and scoff at the thought of themed hotels but that’s all going to change — as soon as you enter The Ultimo, the world’s first ever astrology-centric hotel. Located in in the Chinatown district in Sydney, Australia, The Ultimo hotel is a project of Australian hotel group, 8Hotels, built on a heritage listed building. The building was refurbished in October 2016 with 95 rooms across seven room categories, including Ultimo Single (most affordable) to Ultimo Courtyard (most luxurious). 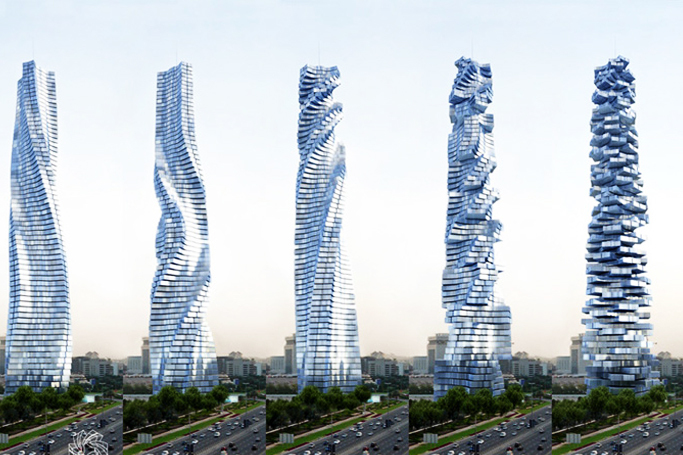 First, there was a hyperloop train then drone taxis and now the world’s first rotating tower — The Jetsons would be very proud of Dubai. This city is time travelling way ahead than the rest of the planet and the fact that an 80-storey ‘Dynamic Tower’ will dominate the cluster of skyscrapers by 2020 is another proof of its technological advancement. 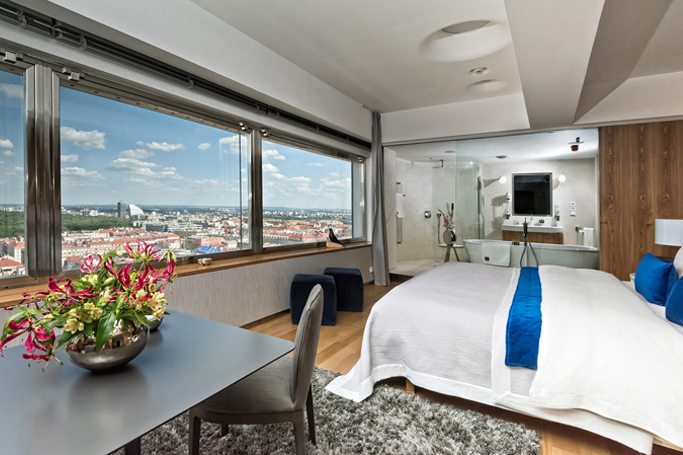 The idea of living in a tower — isolated from the outside world seems rather depressing until you see Prague’s Tower Park Praha — a one-room luxury hotel that offers absolute privacy and a breath-taking panoramic view of Prague. The Tower Park Praha is a reconstructed plush cabin inside the city’s television tower that offers tourists a peaceful escape from their chaotic life. Guests can experience the beauty of Prague 70-meters up in the sky. The television tower building rises dramatically above the ancient Prague skyline. Deep inside the rainforest of Chile lies a magical place full of mystique and dreams — sounds straight out of a fairytale, right? And what if we tell you that living in such a place is actually possible? Hotels can be much more than just a bed to sleep in on your next vacation. 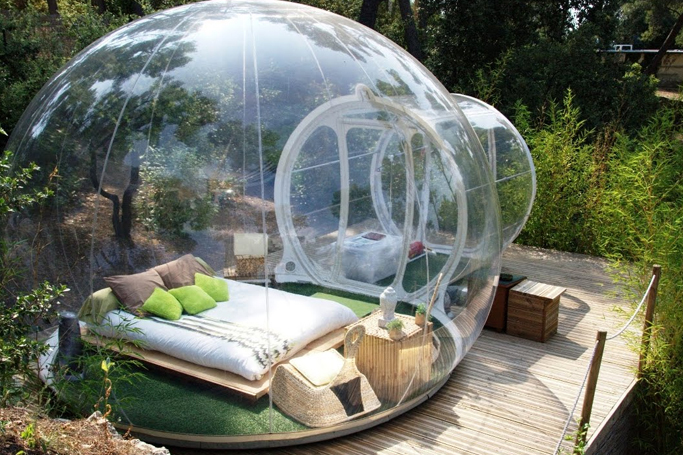 Truly unique accommodations can make a stay a once-in-a-lifetime experience. In fact, there are some awesome hotel rooms around the globe that deserve an entire vacation dedicated to the thrilling experience they promise. Luxury Travel Intelligence (LTI) has released it's annual list of the best and the worst newly launched luxury hotels around the world. The prestigious organisation thoroughly researched top-notch properties to give an unbiased opinion for luxury travellers. 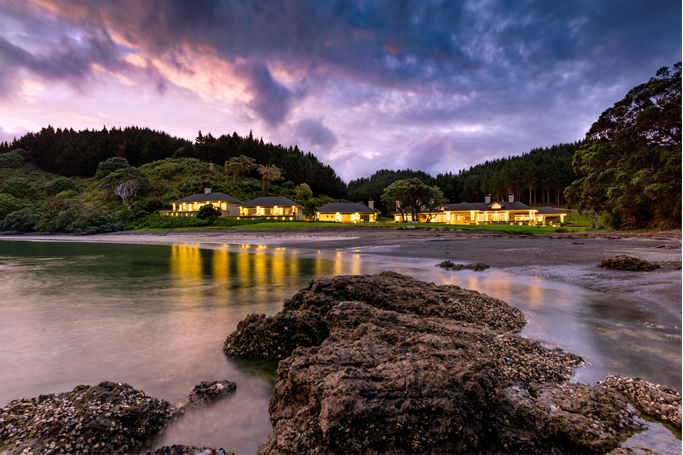 Check out the best and worst luxury travel hotels of 2016 to see who got it right and who got it so wrong as described and ranked by LTI. Everybody loves a good spine chilling tale but would you dare to relive one? 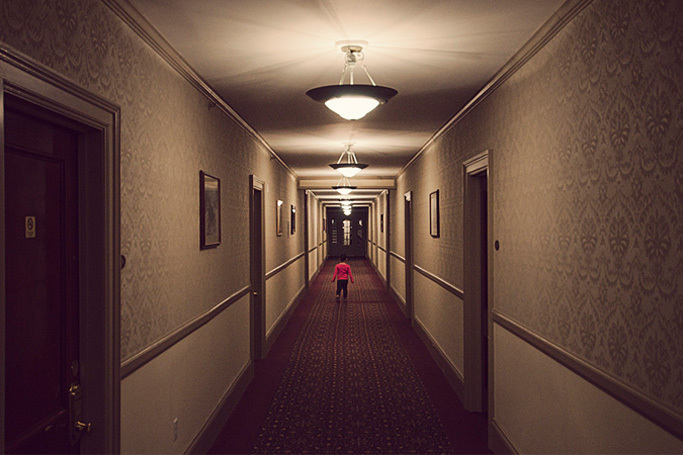 From disembodied hands helping you sleep to creepy cribs screeching outside your room – here is a list of 6 spooky hotels you wouldn’t want to spend your night in.